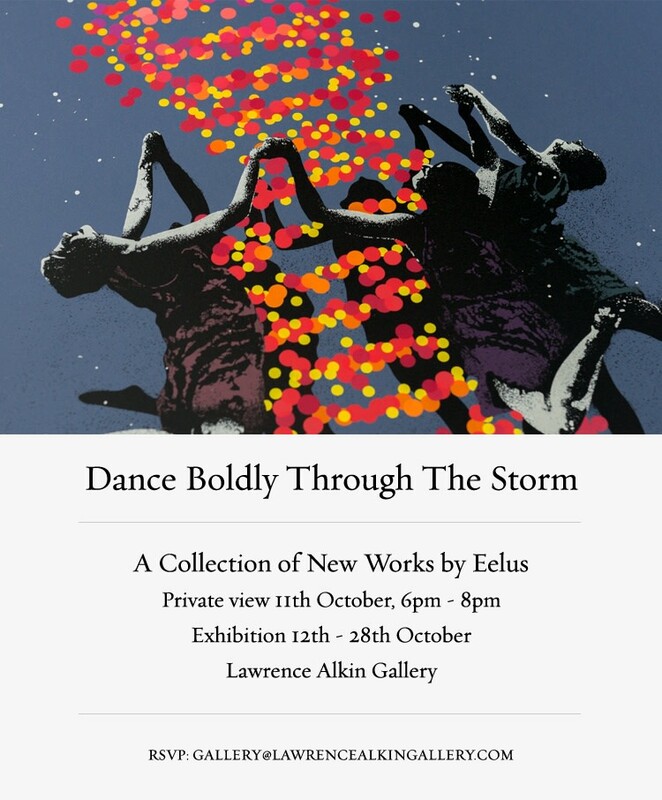 Opening this week at Lawrence Alkin Gallery is the highly anticipated 'Dance Boldly Through The Storm', a solo exhibition of new works by contemporary stencil artist Eelus. Seeking to evoke familiar discomfort within all of us, this all-new body of work explores the beautiful and often caustic realities of the world, while examining the turbulent nature of modern times. 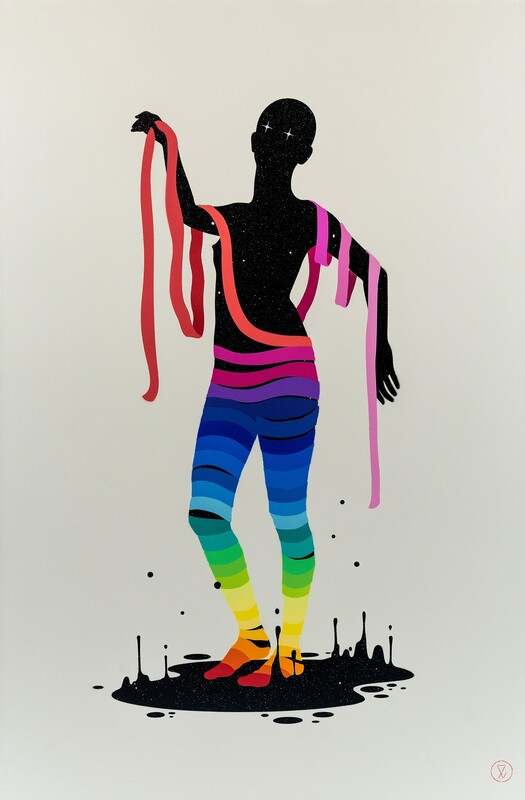 The exhibition is the artist's first solo in London for 7 years and follows on from his 2016 San Francisco sell out, 'The Dark Side of the Rainbow'. Follow this link to view the sales catalogue PDF. For any sales enquiries contact us via info@lawrencealkingallery.com or call on +44 (0)20 7240 7909. 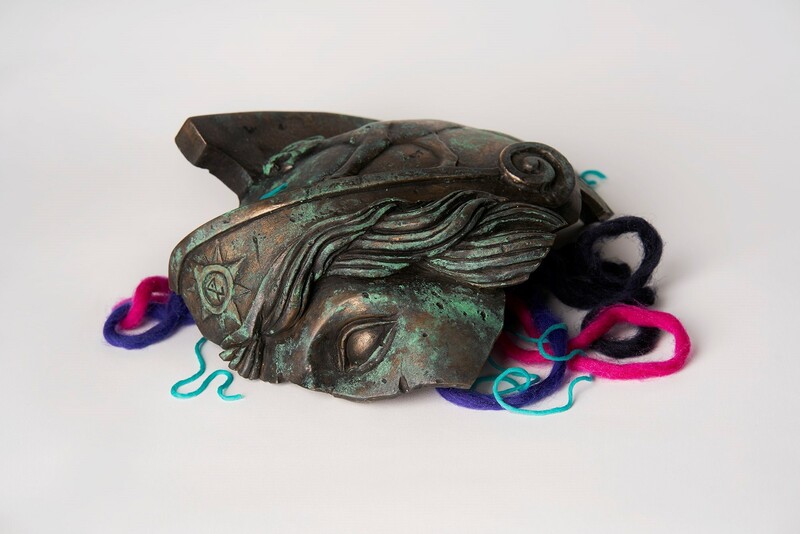 'Dance Boldly Through The Storm' will feature an all-new body of work incorporating spray paint on canvas, multi-layered wood and paper and, for the first time ever, 3D sculptural pieces created from cold-cast bronze and an exclusive silkscreen print release. 'We All Fall Down', will be released in the gallery on Wednesday 11th October at the exhibition opening. 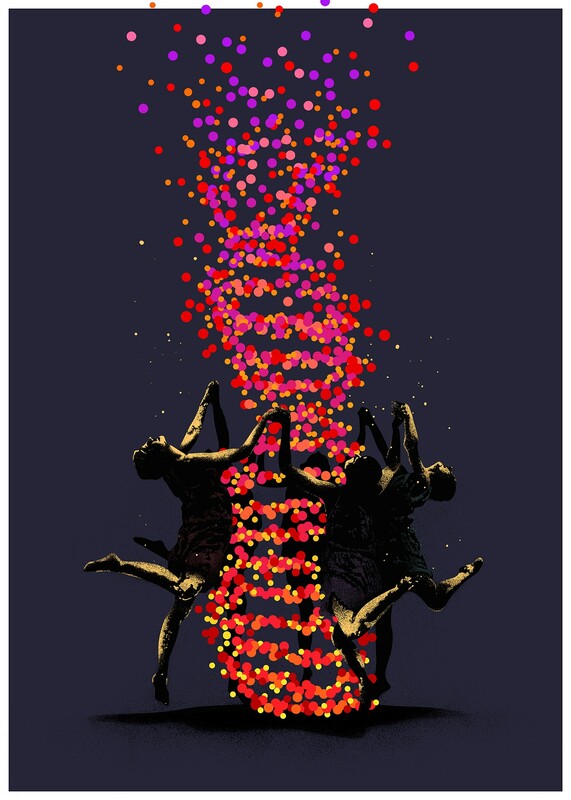 Follow this link to view all available work by Eelus. For sales enquiries please contact the gallery on +44 (0) 20 7240 7909 or email us at info@lawrencealkingallery.com.